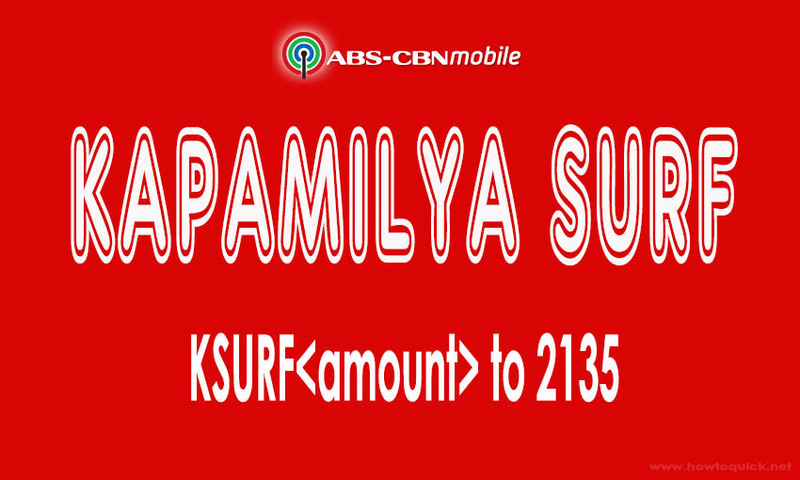 ABS CBN Mobile updated their internet promo package from Online Load Unli keyword to Kapamilya Surf where they now offer volume data browsing. From their previous KOLU50 unlimited for 1 day now changed to 300MB with validity of 30 days worth 50 pesos. With this latest promo, they now added full access to iWant TV every time you subscribe to KSURF package. You can browse for all of your favorite websites, use social media apps like Facebook, Twitter, Viber and even streams YouTube videos as long as you have enough remaining load on your account. They have an internet promo worth 10 pesos for 1 day and 99 pesos for 1 month validity. If you want even cheaper, subscribe to their 5 pesos for 30 where you can surf all sites for 30 minutes. 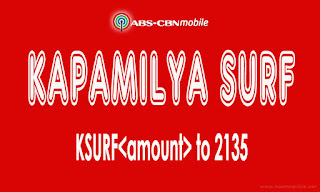 To subscribe to any of the ABS CBN Mobile internet offers, you can use the keyword format of your preferred promo or use their USSD code menu by dialing *128# on your phone. Find the format below for your registration reference. If you’re asking where to buy load, you can visit your nearest load retailer or dealer, kiosks and SM stores. You can use above promos on your mobile phones, Pocket WiFi, USB broadband and other 3G/4G modems you have as long as you can insert the prepaid SIM card. After successful registration you will receive a notification message from ABS CBN mobile that your internet promo is ready to use. Other details included are time of your registration and validity period, for more information of their offers you can dial *128#. To check your remaining MB of data you may text MB STATUS to 2135.